What Actually Is Athleisure Make-Up? You can’t deny the colossal power of athleisure – long gone are the days when you would judge anyone for wearing gym leggings to brunch. In fact, you’d probably think something was wrong if your friends wore anything but Lycra to meet up on the weekend. With this in mind, it comes as no surprise that athleisure is reaching outside of fashion. Next to get the treatment is the beauty industry, with make-up brands launching special products you can work out in. Maybelline have just launched a range of athleisure make-up in collaboration with Puma, and they aren’t the only ones. So what’s the deal with workout make-up? They’re basically beauty products that market themselves as suitable to wear when you’re exercising. Take the description of the tinted moisturiser from Tarte’s athleisure range to give you a taste: “With a water-based formula that melts right into skin, you’ll get sheer natural coverage in three universal shades to cover the look of uneven skin tone, dark spots & redness. The majority of these products are light, natural and durable, so they can be worn while you sweat without doing too much damage to your skin or sliding off. Should You Wear Make-Up To The Gym? @adrianalima is the queen of staying fit and looking fierce at the same time. Get her look with the NEW #pumaxmaybelline eye duo stick in ‘warrior – flow’, smudge proof mascara, face duo stick in ‘hustle – burn’ and #superstaymatte ink in ‘epic’. Head over to our stories for a first look at Adriana's favorite products! There’s no need to shame anyone who decides to wear make-up when they work out. For some, it’s a confidence and self-esteem thing, and for others it’s more because they couldn’t be bothered to remove their concealer. So is your everyday make-up suitable? 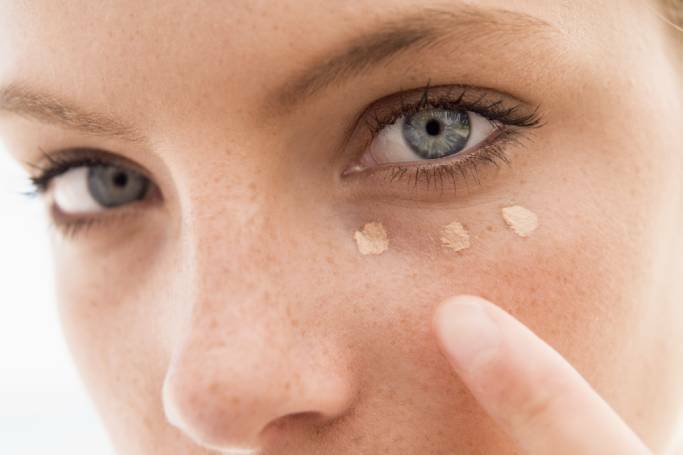 Well, eye make-up doesn’t matter too much (although you’ll want to wear waterproof so sweat doesn’t make mascara run down your face), but it’s foundation, concealer and powders you should be more careful with. Which is why beauty brands have started to create products for gym-specific use. Do You Need Specific Products? I wear makeup at the gym bc it makes me feel 100x more badass than the non-farm fresh Grade A large egg-head I look like without it. Maybelline’s new ‘high performance’ X Puma range includes products like Crome Powder Highlight Knockout (£8.99/AED 43.26), Superstay Matte Ink Lipstick (£9.99/AED 48.07) and Smudgeproof Mascara (£8.99/AED 43.26). The collection has been create in ‘streetwear-inspired hues to create fearless make-up looks’. That being said, many products out there are already waterproof or sweat resistant, without all the pro-exercise branding. If you’ve got make-up with a light coverage which won’t clog up your pores too much, then you should be able to wear them to workout. Phrases to look out for are ‘oil-free’, ‘sensitive skin’ or ‘mineral-based’ – basically anything with natural ingredients is better, because then it reduces the risk of chemicals irritating your skin as you sweat. A good setting spray will ensure the make-up you’re already wearing won’t melt away the second you step onto the treadmill. Exercise is fast becoming part of a wider lifestyle – it’s not uncommon for women to go to a Pilates class and straight to see their friends after. With clothes now blurring the lines between working out and hanging out, it’s no surprise cosmetics companies are too.